Are you a big fan of Halo and also a biker? 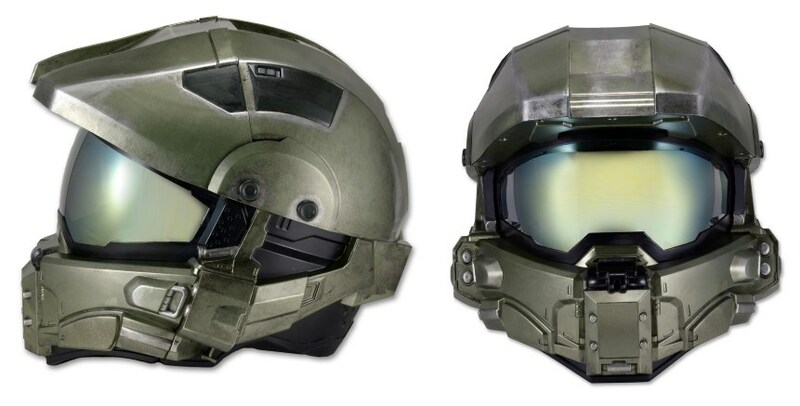 Well, soon you will be able to show your passion for the popular game franchise while riding your motorcycle with the upcoming Master Chief Modular Motorcycle Helmet from a US-based company called National Entertainment Collectibles Association (NECA). Based on the same helmet worn by Halo’s main protagonist, the helmet was already in NECA’s plan since 2013. Not long after the initial announcement, the company followed up with the unveiling of the helmet’s prototype. Scheduled to be out later this July, the Master Chief Modular Motorcycle Helmet is not just a prop helmet. Instead, it is actually designed to meet or exceed the requirements by U.S Department of Transportation which subsequently made it road legal. Since it is a modular helmet, its chin bar can be lifted upwards that allows riders to put on and take off their glasses easily. Other than that, the helmet also features removable and washable paddings, front air intakes, rear exhaust vents, UV-protective eye shield, and many more. To be available in several sizes, NECA is still keeping the pricing a secret though but given its status as a limited edition product, we don’t expect the Master Chief Modular Motorcyles Helmet to be cheap anyway.